Dr. Puneet Goyal is one of the best hair specialists in Jaipur. He can successfully treat hair loss patients medically. 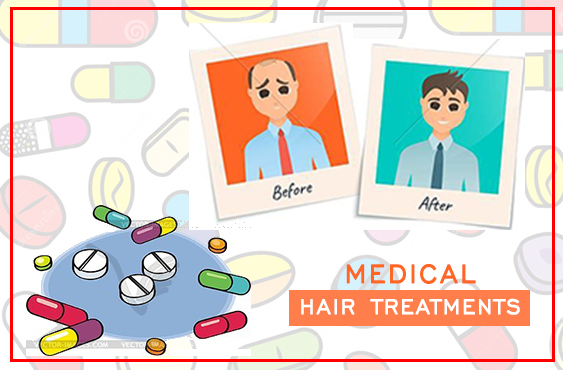 In some situation, where treatment can worsen the hair loss, the patients are treated with the medicines, creams, injections, oral treatments etc. Some Topical agents can be used to rub on the hair scalp to stimulate the hair growth. Always to be used only after the doctor’s advice, the oral immunosuppressant blocks the immune system’s response. Cortisone tablets are also advised for oral intake to treat extensive alopecia. But due to the side effects these tablets are not suggested much. It is the used of phototherapy with medicine to stop the hair loss issues. Dr Puneet Goyal is an expert who has years of experience. Considering the patient’s situation and health, he recommends for the best possible hair loss medical treatment in Jaipur.